Pay Tribute & Go See Strangelove in Concert Tomorrow! I have concluded my week-long mind, body and soul refreshing experience, and I’m ending it in spectacular manner by finally seeing Strangelove, “the ultimate Depeche Mode tribute band” tomorrow at San Diego’s House of Blues. My BFF Janice and my sister Rholnna will be in attendance with me, and I believe tickets are still available here. I’ll have a full review of the show, and hopefully a little more. If you go, please make sure come up to me and say hi! 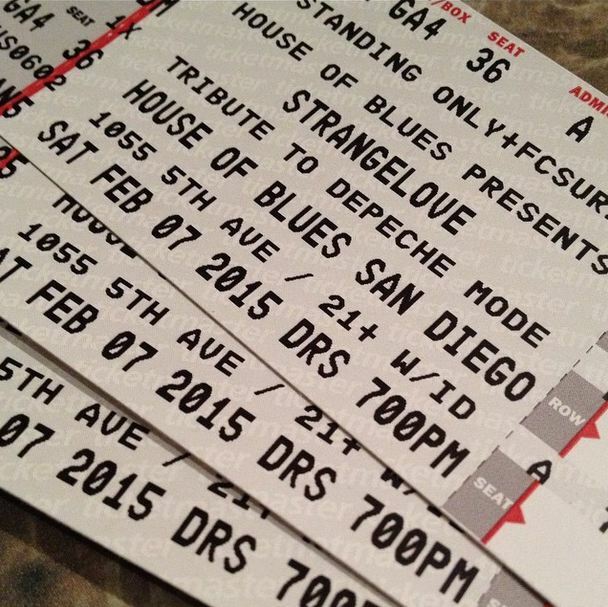 Posted in Musically Inclined and tagged concert, Depeche Mode, House of Blues, Strangelove, Tribute Band on February 6, 2015 by Cyrillynn.